There is a shortage of wireless data spectrum. Wireless carriers have two options. One, use technology to compress and squeeze more usage out of existing spectrum. Two, is what Federated Wireless is doing with the spectrum they have. As an industry, wireless simply does not have enough data spectrum. Now add to that the rapid growth of the industry and increased demand by users and you can see the problem. Federated Wireless is a company with a solution to this growing spectrum shortage. You may not have heard of them yet. They are a relatively new company with spectrum to share, and a breakthrough idea. I was recently briefed by Federated Wireless CEO Iyad Tarazi. I have written about this need, many times over many years. Today, every wireless carrier needs more spectrum to make their apps and other features work well. Larger carriers like AT&T Mobility, Verizon Wireless, T-Mobile and Sprint have their own spectrum, but still need access to more. 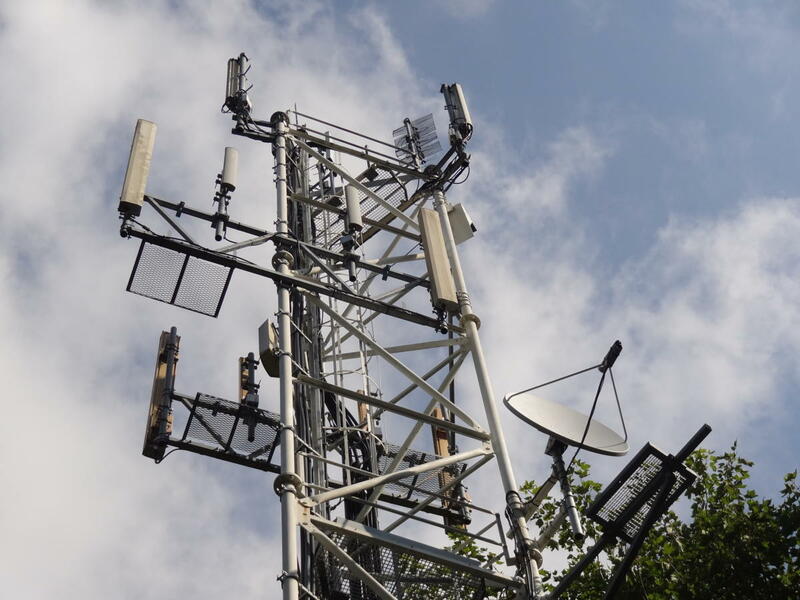 Smaller carriers like US Cellular, C Spire Wireless and others may not have enough or even any of their own spectrum, yet still need it to remain competitive in today’s wireless world. So, every wireless carrier needs spectrum to remain competitive. With this need for wireless spectrum, there must be a solution. There are several. One is improving the way we each uses what they have. Two is sharing spectrum. Federated Wireless is in the business of sharing their spectrum with any wireless carrier that has a need. And in fact, they can share with other businesses as well. This is a great idea, is needed and for that reason could be successful going forward. Sharing spectrum is not a brand-new idea. It has been tried before. The problem with the first try, years ago, was the poor-quality spectrum a company called LightSquared used. This sharing was the idea of Philip Falcone, who saw the growing need for limited spectrum. He thought shared spectrum was a solution. That was a great idea as well, however the quality of the spectrum they had, and the closeness to other spectrum was the problem. My early take on what Federated Wireless is doing seems like the same idea but uses better spectrum. If everything works well, this could be a solution to the problem every US wireless carrier, large and small needs. Not a full solution, but at least a partial one. This will not solve the entire wireless spectrum shortage problem, but it will make a big dent in it. Larger wireless carriers already have their own spectrum and are always on the lookout for more. Smaller wireless carriers may not have any of their own spectrum, but they need access to it in order to remain competitive. Remember the debate when T-Mobile launched their wireless video with limited spectrum a while back. We wondered whether their limited spectrum would offer a good quality picture. Since it was on small screens like smartphones and tablets, and since they used compression, their service seemed to work fine. However, that raised the spectrum to center stage. Federated Wireless is not a wireless carrier. Instead, they offer something every wireless carrier needs. Access to more spectrum. And if they can deliver a good quality and fast signal at the right price, I think this company could indeed be successful for the long term. And remember, there is a wider marketplace for this spectrum beyond wireless carriers. Mobile carriers, cable television carriers, broadband wireless access providers, managed service providers, enterprise vertical markets and what I expect to be a growing list of interested business segments. At the same time, wireless carriers with spectrum are improving their technology allowing them to get more bang for the buck from what they have. As we move forward, new thinking and new ideas are presented to the marketplace that let’s wireless do more with what they have access to. So, these two factors are helping all wireless carriers keep up with the expanding demand curve for spectrum. And other companies as well. This is a balancing act that most major carriers have so far done a good job with. Ideas like that of Federated Wireless can simply help them do that job easier and better. As I learn more about them and about this exciting and growth-oriented space, I will share with you.